What we get in lieu of commentary is an attempt at wit and endless standoffs. The movie begins with two character introductions by way of two lengthy standoff sequences. The standoff is a privileged set piece of the Western. When used sparingly it can be the most effective sequence in a film. When overused, it gives the film a stench of a filmmaker not attuned to the genre that he is working within. The knife standoff in the original is so effective because it is one of the only standoffs that we see; it establishes Britt’s character. In this film, the only distinguishing feature of the standoff in question is a hairpin, and a hairpin does not establish character. As for the wit, the film splits 50/50 in the way of effective use of humor. Making dry comedy while trying to juggle time-and-place colloquialisms is something that comes off more than awkward in this script. The first half of The Seven Samurai is perhaps the finest example of character development in cinema history. It is not afraid to take its time to flesh out all of the essential characters, and it does so in a way that is more engaging than mere exposition usually is. The Magnificent Seven (1960) pares this down a lot, but we still understand each character’s stakes and motivations by the time the action starts in earnest. In this 2016 edition, character motivation is largely replaced by character traits. Chris Pratt’s Faraday is a roguish, gambling alcoholic. Ethan Hawke’s Robicheaux is a feared sharpshooter who’s lost his wits. And Washington lacks even a singular defining trait; he merely is the leader. The character nuance is woefully lost, but there are some changes that don’t hurt. Haley Bennett provides with her character a stronger female presence than what is found in previous iterations (even if that is all that her character is there for). The acting regime as a whole shows more diversity, but this is no replacement for character, which the film largely abandons. The film takes its narrative liberties, and that is all well and good. Changes can be refreshing when done right, and this film can be commended on some of them. The problem with the narrative is purely a problem of plotting. The Seven Samurai is three hours and 30 minutes long with a few extravagant action set pieces. The Magnificent Seven (1960) is two hours and 10 minutes long with two major action set pieces. The Magnificent Seven (2016) is a two hour and 15 minute movie where every other scene feels the need to bust out the six-shooter (or the bow and arrow or the knife etc.). This discrepancy is meaningful, and it is why there aren’t many successful Westerns anymore (I mean, one of the reasons). The great Westerns are deliberately plotted and reliant on atmosphere to draw the viewer in. Action movies now are heavily reliant on the action set piece. Because of this, Westerns like The Magnificent Seven suffer in tone and pacing. There are the exceptions (Bone Tomahawk springs most recently to mind), but The Magnificent Seven is more egregious of a fault due its connection to the past. Stylistically, the film holds up. Production design, shot structure, and lighting function as a baseline for a suitable Western atmosphere. It may look artificial when you really stop to look at it, but that is part and parcel to the Western genre. It is a fantasy wasteland. Sure, this isn’t Leone on the screen, but it will do. The acting from our lead lot is disappointing to say the least. Washington fumbles the least as the soft-spoken leader, his performance mostly consisting of scrutinizing looks until the very end. 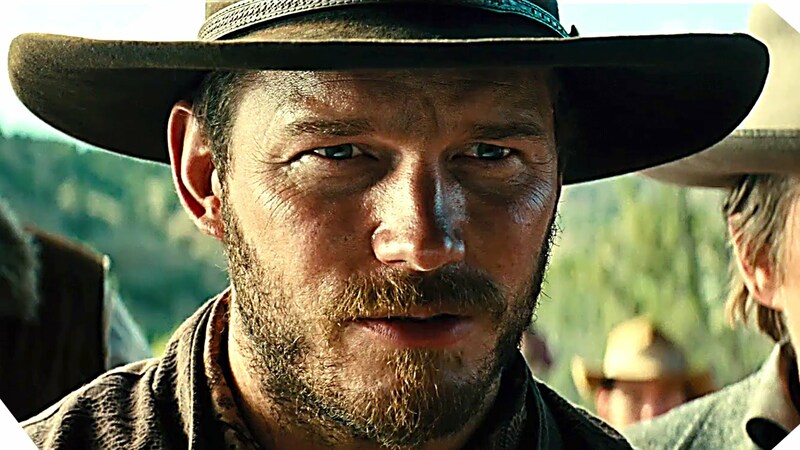 Pratt is out of place to the point of appearing like Andy Dwyer acting like a cowboy. D’Onofrio’s vocal affectation sounds unnatural, sometimes to the point of the character sounding non-human. Bennett has little to do within a character who has no role beyond being a woman in a boy’s club. Byun-hun Lee provides a strong performance, but again it is more due to his lack of dialogue than anything else. Peter Sarsgaard is most fascinating, bringing menace to an otherwise empty villain. The Magnificent Seven, under a different name, would be a minor Western added to the canon. Under this name, it is a major disappointment, doing little to improve on or further the story or the genre in the minds of moviegoers.